All Monkton homes currently listed for sale in Monkton as of 04/23/2019 are shown below. You can change the search criteria at any time by pressing the 'Change Search' button below. If you have any questions or you would like more information about any Monkton homes for sale or other Monkton real estate, please contact us and one of our knowledgeable Monkton REALTORS® would be pleased to assist you. "Historic Clynmalira or Sweet Air Manor boasts authentic style of a Nineteenth century manor with all the comforts of modern day living. Showcasing elegant detail throughout, this stunning home offers 6 bedrooms, 6 & 1 half baths and 11 wood burning fireplaces. Completely updated gourmet kitchen highlighting beautiful white cabinetry, granite counters, top of the line stainless steel appliances, gas cooktop and an oversized island with ample display cabinets and sink. Sunbathed great room features a soaring vaulted ceiling with skylights, wall to wall picture windows, a wood burning fireplace and French door walkout to the enclosed porch. Luxury master bath featuring a radiant heated floor, double vanities and a glass frameless shower. Formal dining room and parlor. Wine cellar. In ground pool and pool house. 6 stall barn and sports court. 3 bedroom guest optional tenant house. 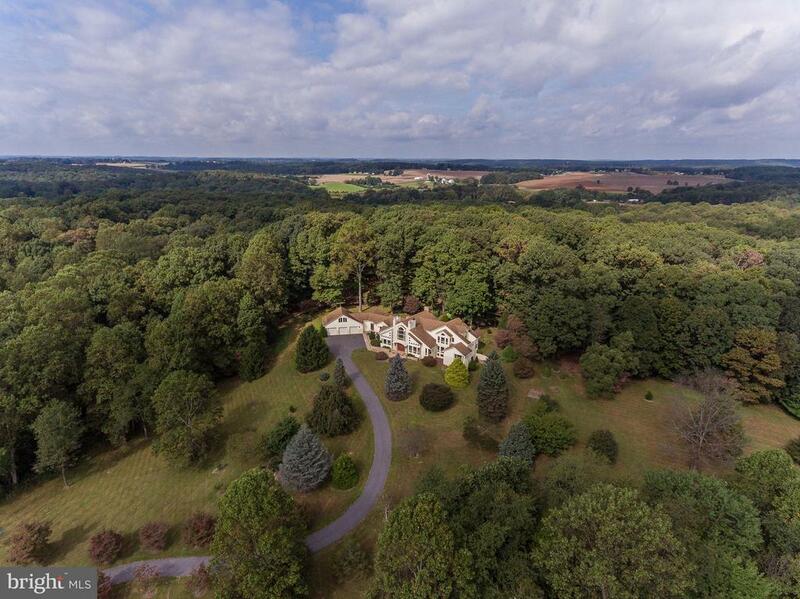 Breathtaking views of over 9 acres of landscaped grounds and the surrounding Roseda farm and only minutes away to enjoy Hunt Valleys vast amenities." "An enduring lifestyle choice in coveted locale. Tree-lined welcome that reveals outstanding country estate resting on 10+/- ac of natural splendor and miles of trails. Stunning Walter Daniels design elevates your daily existence. Salivate over signature Benhoff millwork, craftsmanship & finishes. Every design detail was carefully selected and quality crafted to create warm & inviting family spaces with an elegant yet casual feel. Inspiring Butler stone and Cushwa brick with Herringbone accents highlight the stately exterior. Brick archway with over-sized wood entry door lead guests into a foyer and expansive Great Room with soaring two-story ceilings with exposed beam framing which carries over to the awe inspiring Chef~s kitchen. John Canatellie design-build provides five cooking areas with three sinks, SubZero side by side refrigerator, Wolfe gas range & stove, additional KitchenAid oven, two Miele dishwashers, granite counters & Italian tile backsplash and inlaid cabinets. 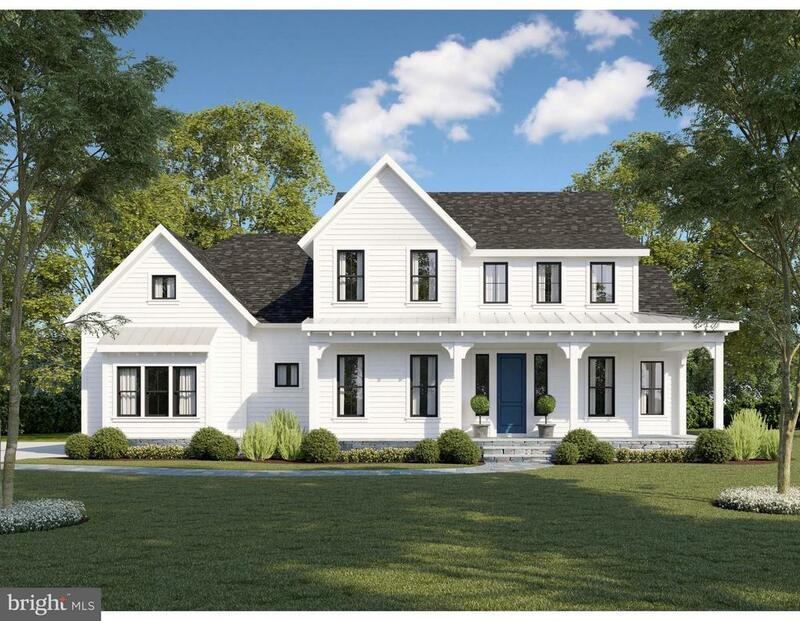 Revel in the tranquility of the Four Season room offering well curated use of bluestone, shiplap siding, tongue & groove ceiling, Butler Stone fireplace and custom BBQ with built-in Wolfe grille, hooded exhaust and granite prep area. Endless lifestyle options include sophisticated main-level master suite, a spa-like master bath with Kohler soaking tub & walk-in tile shower with Body Jets, dreamy master closet with center isle vanity, private elevator, expansive main level laundry, three stately en-suite bedrooms, wine cellar with tasting area, 2-car heated main garage and additional 2-car collectors garage. Functional, elegant and exquisitely crafted with stunning custom finishes - this 6,700 sf masterpiece (2013) exhibits an impeccable flow and seamless blending of indoor and outdoor spaces. Nestled in the serenity of My Lady's Manor & Hereford Zone schools and only minutes to Wegmans, Manor Tavern & I -83." "Spectacular 12.6 acre setting for this custom design & built 4BR, 3/1Ba Contemporary home! Marble Foyer w/circular staircase, vaulted LR w/FP & DR w/FP, stunning 2-story GreatRm w/floating barrel-vault oak ceiling. Huge gourmet Kit, WetBar. 3 main level BRs & LaundRm. Sumptuous MBR suite & Mezanine Overlook on 2nd level. Stone patios, Koi ponds & waterfalls. Panoramic vistas from every room!" 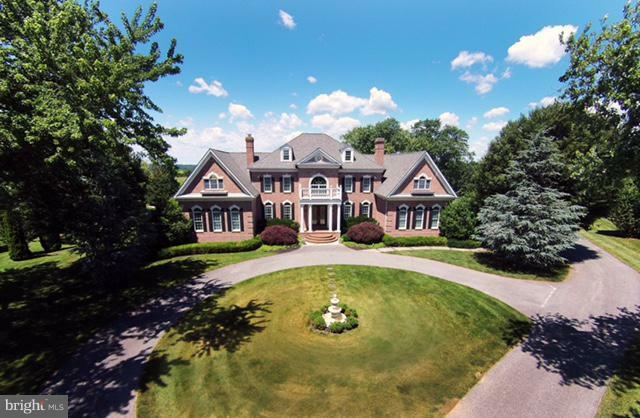 "STUNNING 6 BED/7.5 BATH ALL BRICK CUSTOM COLONIAL ON 7.5+ ACRES. FEATURES INCLUDE; MARBLE FLOOR 2 STORY COYER WITH GRAND CURVED STAIRCASE, GOURMET KITCHEN WITH TOP STAINLESS STEEL APPLIANCES, SITTING ROOM & GAS FIREPLACE. MASTER SUITE WITH SPA BATH & SITTING ROOM AND HUGE WALK IN CLOSET. IN LAW SUITE WITH SEPERATE ENTRANCE, HEATED IN GROUND POOL, EXTENSIVE HARDSCAPING/LANDSCAPING. 4 STALL HORSE BARN WHICH CAN BE CONVERTED TO SEPERATE APARTMENT, 3 FENCED PADDOCKS, TRAILS FOR RIDING AND PROTECTED VIEWS. THIS BEAUTIFUL CUSTOM HOME HAS SO MUCH TO OFFER AND SUCH A GREAT VALUE. THE VIEWS ARE A MUST SEE!" 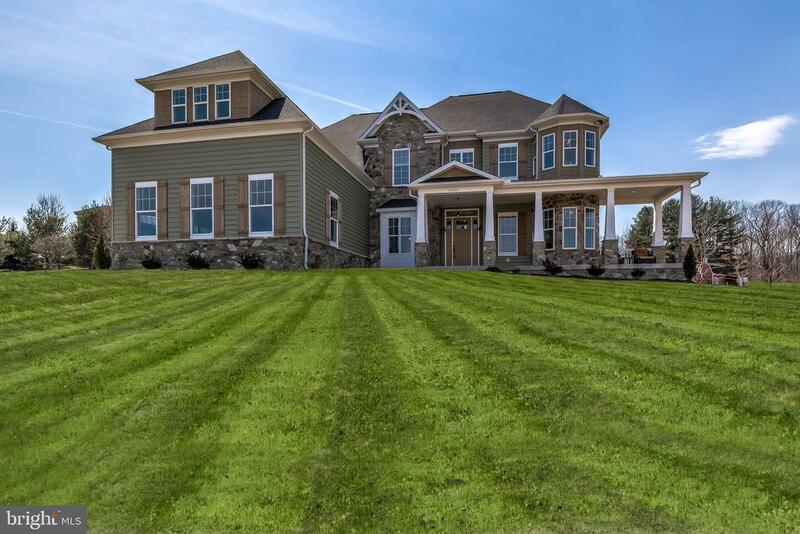 "Custom home finished in 2018 by Battaglia Homes with 6 bedrooms and 6.5 baths. 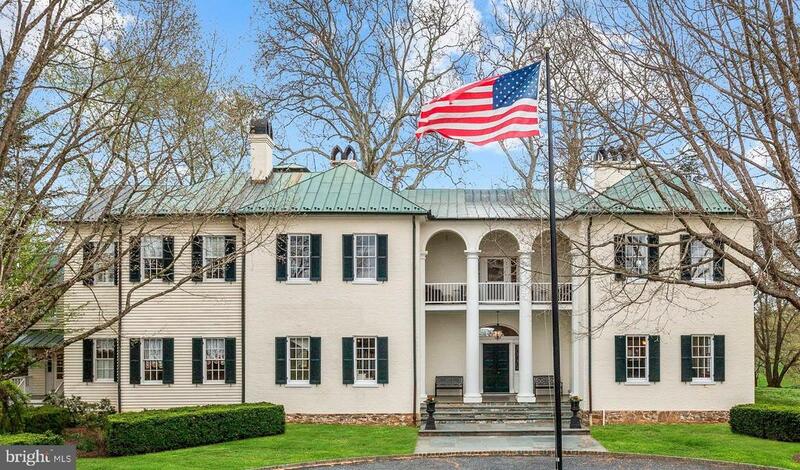 Sited on a scenic vista, this Monkton home is divine in every way. Salivate over signature millwork, craftsmanship & finishes. Every design detail was carefully selected and quality crafted to create warm & inviting family spaces with an elegant yet casual feel. Spacious open floor plan with gourmet kitchen overlooking breakfast room and family room with stone fireplace and coffered ceiling. Kitchen provides ideal space with large granite counter, center island with farm sink and dual dishwashers. Large, light filled office / den with panoramic views and spacious dining room with trey ceiling and moldings. First level bedroom with bath en suite with roll in tile shower. Delightful master suite with illuminated trey ceiling and divine master bath equipped with large soaking tub, huge walk-in tile shower and his/her vanities. Large master closet and exercise area or private reading room compliment the Master suite. 4 additional bedrooms on second level all with custom baths en suite. Finished lower level with large family room, theater with step-down seating, 6th bedroom and full bath. Entertain on the Trex deck and heated, salt water pool. This home is sure to please the most discerning buyer." "CHECK OUT THE VIRTUAL TOUR! If you are looking for privacy, this is it! 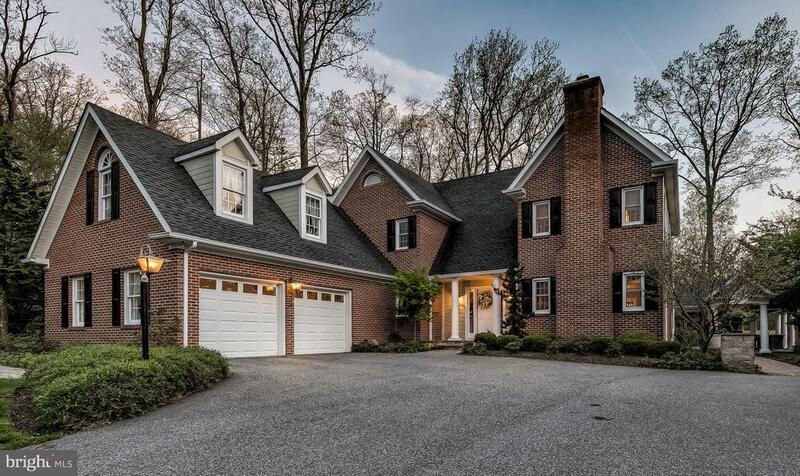 Tucked away in a quiet community w/ easy access to York Rd, I83 & 695, this stunning custom built 4,800+ sq. ft. home features a NEW Gourmet Kitchen, 9+ ft. ceilings, outstanding walkout LL designed for entertaining with spectacular wooded views. Detached 3 car garage has separate bedroom & bath above garage- this house has it all with NO MAINTENANCE." "Monkton Horse Property in the HEREFORD ZONE Schools. 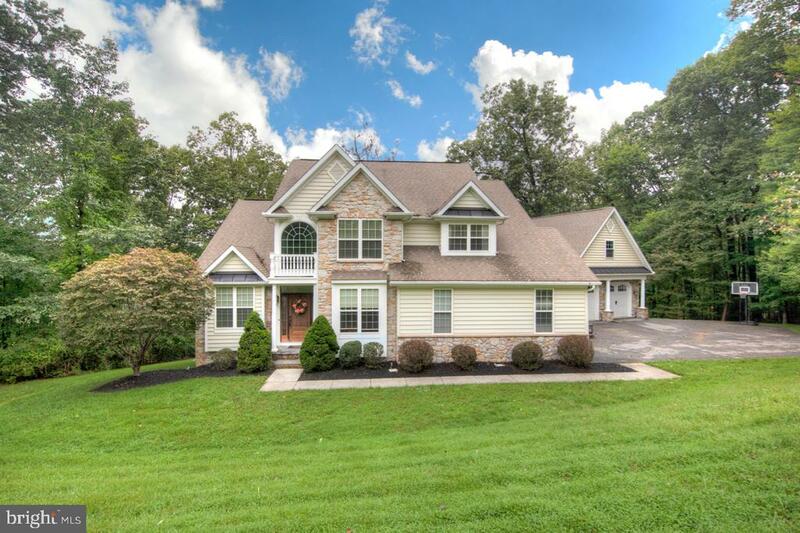 Prime location nestled among the rolling hills of Monkton just south of charming downtown Hereford and minutes to Hunt Valley Town Center and I-83. 5 Bedroom, 4 Bathroom Chalet Style Home which boasts an open floor plan and 2 large stone hearths. The updated Kitchen with Stainless Steel Appliances and Granite Countertops flows into The Cozy Family Room which overlooks the Pool, Deck and Gardens. First Floor Bedroom as well as Lower Level Bedroom Suite with Full Bath and Private Walkout Entrance. Verandas with spectacular views off every bedroom on the second level. MASSIVE 4,000 sq. ft. outbuilding which contains a 5 Stall Center Aisle Barn, a Riders Lounge, Garage with Workshop, Hay and Equipment Storage and a Roughed in Caretaker/In-Law apartment. 176 X 96 Riding Ring, 2 Streams, 4 pastures and a Puppy Paddock. Location is convenient for those traveling to Baltimore or DC. 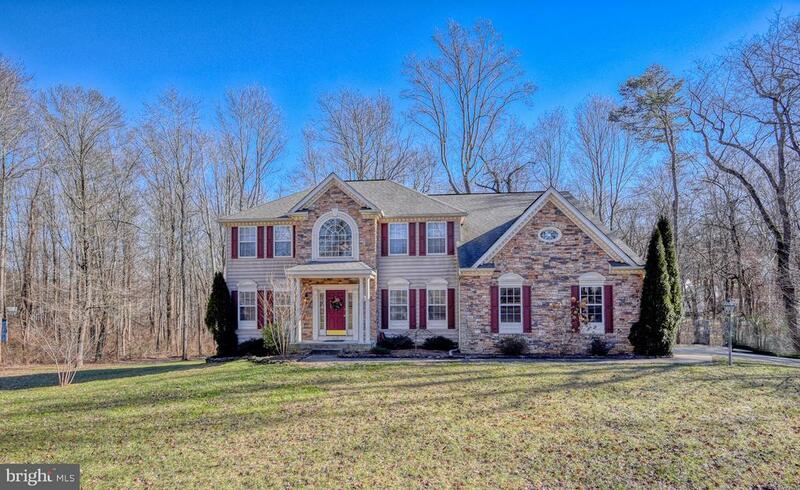 Close to shopping, restaurants and in the Heart of Baltimore County Horse Country. 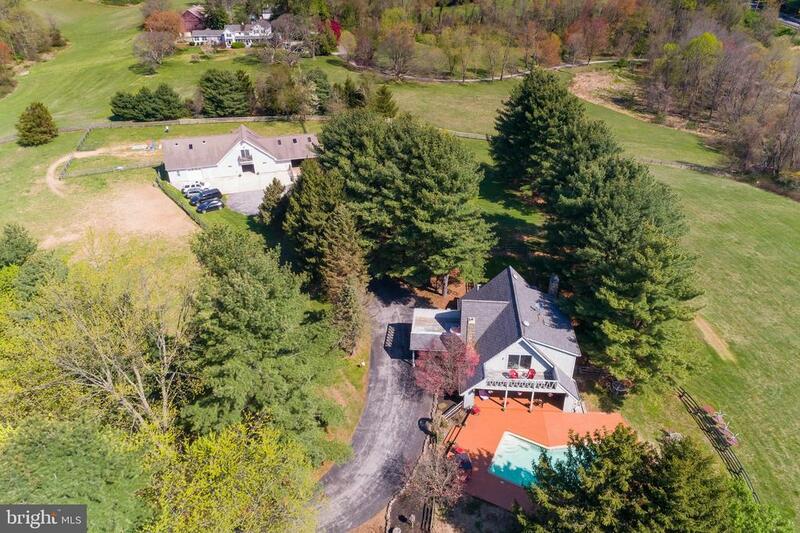 Welcome to the Horse Farm of your dreams. Bring your horses and your bathing suit"
"Springlane Farm, circa 1798. 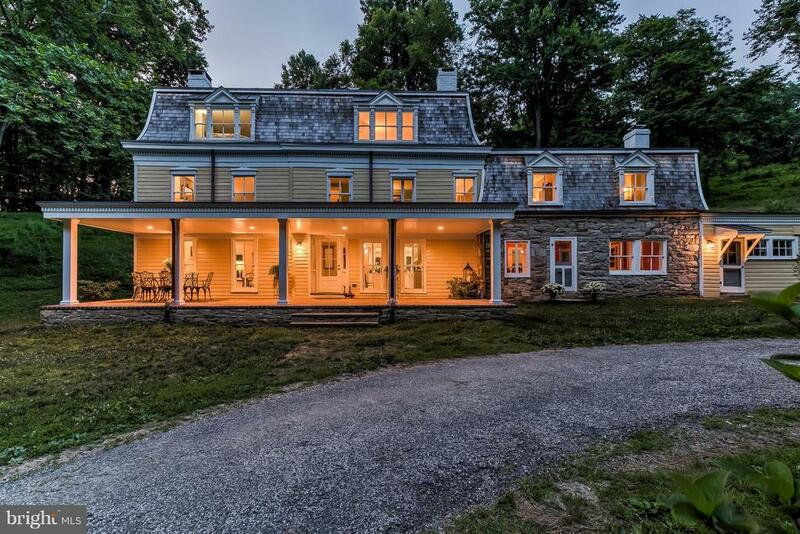 Federal style stone farmhouse exuding soul resting on 23+/- picturesque acres. Steeped in rich history in My Lady's Manor. Winding drive runs along a tributary to the Gunpowder River. Steps to fly fishing. Recently renovated by Kinsley. Pool, tenant/guest house, 2 barns, chicken house & spring-house. Embrace the freedom that comes with country living. Hereford Zone." "** MAJOR Price improvement** Welcome to Vance road! 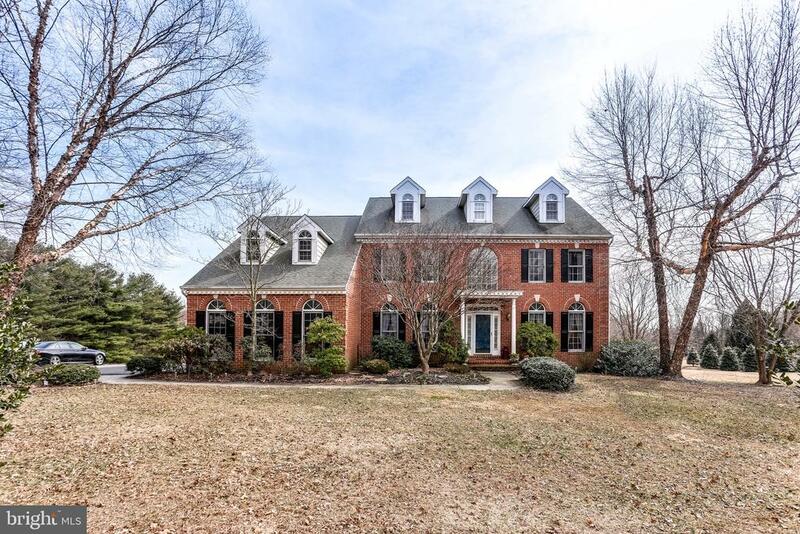 This stunning brick colonial welcomes you in with a three story foyer opening up to a large open floor plan towards the back. The updated kitchen offers space for both cooking and entertaining. A 3 car garage leads into a drop space and laundry area perfect for keeping everyone organized! An eat in kitchen area and formal dining room offer options for hosting large gatherings. The family room is generous and cozy with a stone wood-burning fireplace and sliders to the 4 seasons room. Off the back of the house you will find a maintenance-free deck, gazebo and stairs that lead to the 3+ acres of land and the in-ground pool and swimming area! The basement has a separate entrance, rec room area, media area kitchenette and full bathroom. There is also a separate room that could be used as a bedroom, gym or studio. Upstairs, find 4 bedrooms each supported by a bath and 2 additional bedrooms on the third story! The master bedroom is private and oversized with vaulted ceilings, natural light, a cozy sitting area and large master bath. This property also iIncludes 48 owned high efficiency solar panels If you are looking for space in a move in ready home, this house delivers inside and out! 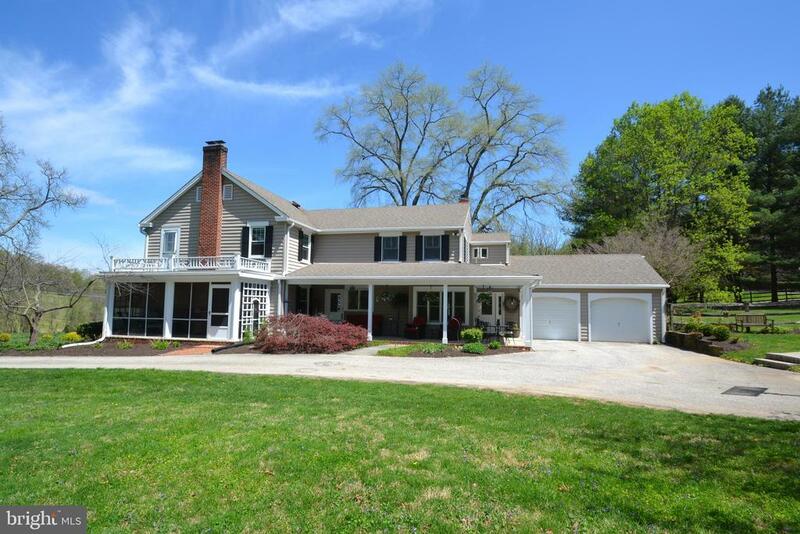 Make this classic Hereford Zone address yours today and be ready to host your gatherings all summer long!" "3 bedroom, 2 ~ bath, 2 story brick home in beautiful private setting,overlooking pastures, woods, and tranquil streams. Located in much sought after Monkton. 3418 total sq ft (2818 sq ft finished & approximately 600 sq ft unfinished room above garage with partial electric and plumbingrough-ins). 6 stall barn, 4 fenced pastures, 2 paddocks, and a lighted ridingring. Access to riding trails and the bike and hike trail. Equipment building and 2 sheds. Hereford Zone school district. 5 miles to Hunt Valley area." "Tuscany comes to Monkton! Built for entertaining family and friends. A wall of French Doors opens the inside to the outside living room, dining room and blue-stone patios from the the light-filled kitchen, dining room and center foyer. Ceiling fans throughout the outdoor living space bring the feel of gentle breezes. The TV and wood burning fireplace outside warms you for those Fall football games! Bocce court extends the play area. The Architect has prepared a drawing to add a 4th BEDROOM and a full bath upstairs. A beautifully appointed home in the desirable neighborhood of Chesterfield in the Hereford and Sparks school zone. A Must See!" "To be built by Ten Oaks Homes. Bring your design ideas and finishing touches to this 4 bedroom, 3.5 bath home on a beautiful Monkton lot." 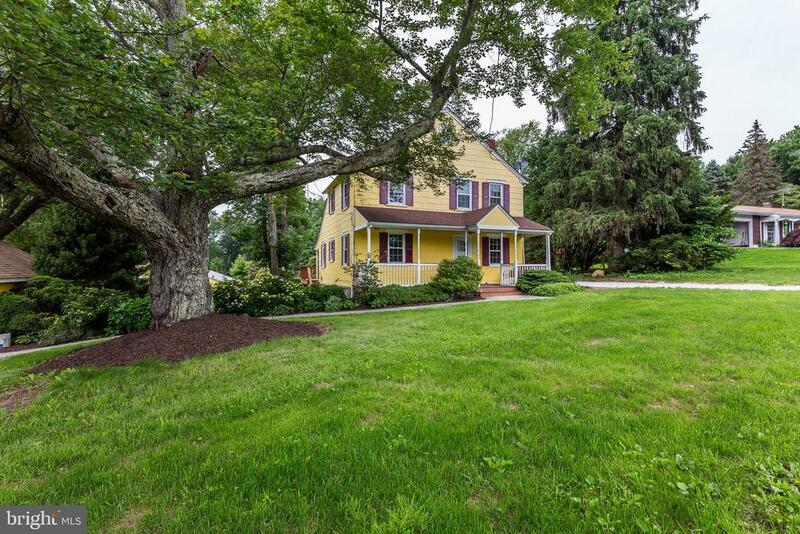 "Colonial in the heart of Monkton on private 4 acres on a quiet country lane. Cozy family room with wood burning fireplace. Screened porch and deck to enjoy this bucolic setting. Detached two car garage. Tennis court,as is. Separate guest house and au pair suite. Hereford Schools and minutes to 83 and Hunt Valley. Short walk to NCR Trail and Gunpowder Falls. Adjacent to acres of preserved land." "MAJOR PRICE ADJUSTMENT IN MONKTON!!! Great opportunity and value for this amount of living space, privacy of acreage and convenient community. A few minutes to 83, Hunt Valley Towne Center and Gunpowder River/NCR Trail!! This is a gem in the Hereford Zone- offers 5 spacious bedrooms upstairs with multiple walk-in closets! Great flow to house that is perfect for entertaining, all generous sized rooms (over 3700sq ft on Main and Upper Level). Open floor plan kitchen with hardwoods, gas cooking, granite counters all accented by a beautiful stone gas fireplace off the family room. Crown Molding, Board and Batten and Beadboard Wainscoting are just some of details you'll find around. The unfinished basement with 9ft ceilings and rough-in is awaiting your design. Part of a small community, yet situated at the end of a cul-de-sac on a private lot- flat back yard and plenty of space for a pool if desired. You'll look forward to crisp nights out by the paved Fire Pit circle. No HOA fees. HEREFORD ZONE SCHOOLS"
"quintessential monkton farmette. 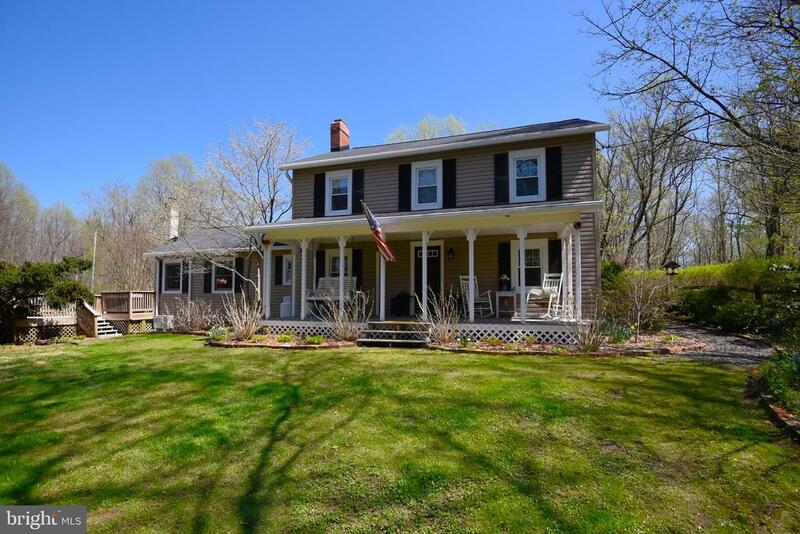 solid cape cod on 12 +/- glorious acres. custom built center isle 8 stall barn with hot & cold/wash and tack room. 3 fenced pastures. soulful detail throughout. exposed beams, light filled cherry kitchen, great room & sunroom flanked by wall of glass doors. be grateful for viewing the perfect western sunsets from your oversize deck with views of your animals." "A true blend of the old and new! 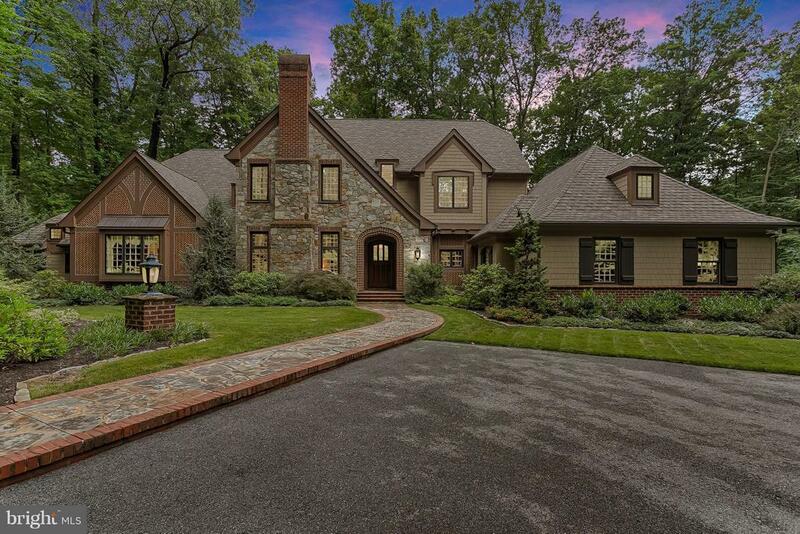 Think Roland Park or Ruxton, but with a little more land and beautifully starry nights!!! Nothing like the Monkton skies! Charming 1940's farmhouse that has been doubled in size with gourmet kitchen, granite counters, island, s/s appliances! Large master suite with cathedral ceiling, new wall to wall carpeting! 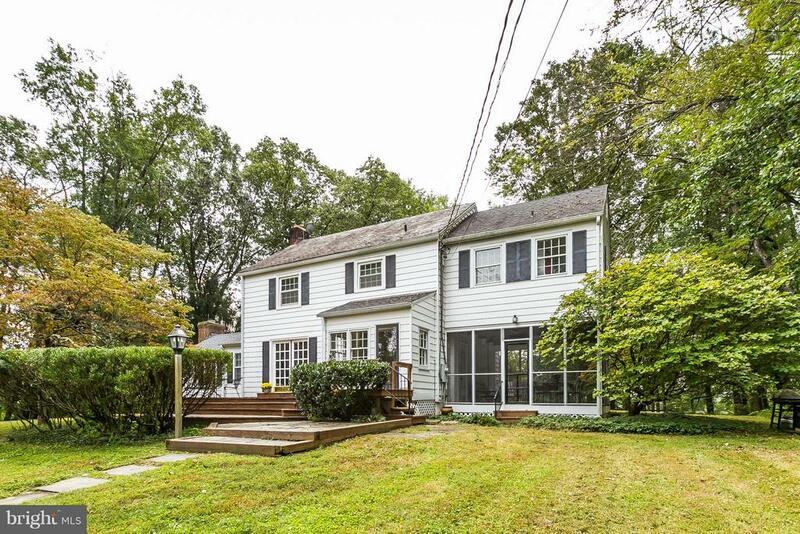 Hardwoods throughout - first floor laundry - screened porch and wrap around porch -- loads of character and built-ins - not your typical colonial! For entertaining, a large inground pool with surrounding patio! Great views and privacy from second floor balcony!! A memory-filled home just waiting for new owners! Loads of updates! Beautiful perennial gardens surrounding the entire property!! Set back off the road and totally private - tucked away from everything!! Unofficially in the Chesterfield community, so it's a great place for kids, potato races, badminton, loads of family functions and tennis courts are right up the street!!! And the NCR Trail!!!! What a treasure! Ladew Gardens is a short drive and a true delight!! Ideal location! Walk to the Middle School - Hereford Zone!!!!! 30 Minutes to Downtown Baltimore via 83!!" 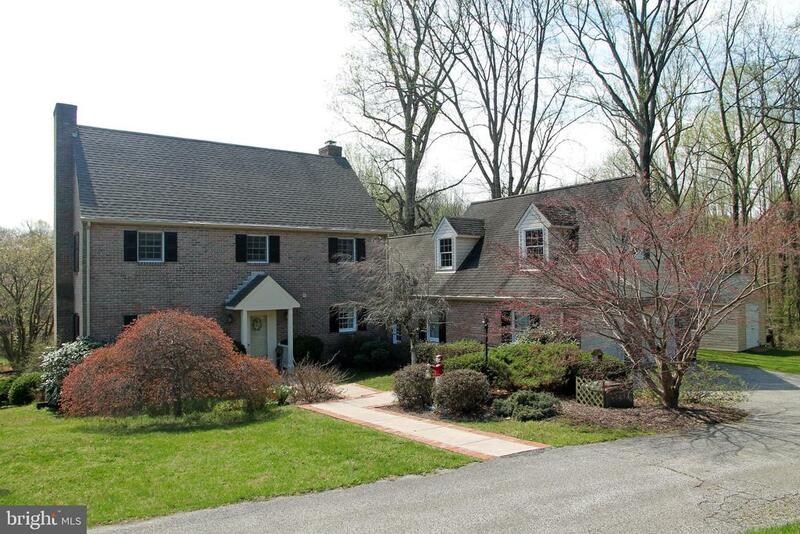 "Just listed in Monkton - Castlebridge Community. Gorgeous curb appeal will be sure to catch your eye. Pulling up the tree lined drive, you'll start to notice signs of spring/summer...butterfly and sitting gardens, and a great back yard! Paver walkway invites you to the front porch. Well Maintained, Open Floor Plan with first floor office- 2 story foyer. Dining with lots of Windows. 4 Generous sized Bedrooms and Master with Ensuite Bath. The kitchen opens up to the family room with gas fireplace for great entertaining. Immaculate Unfinished Basement is ready for your customization or provides plenty of storage...make this home yours today! 3 Car Garage- Hereford Zone!!" 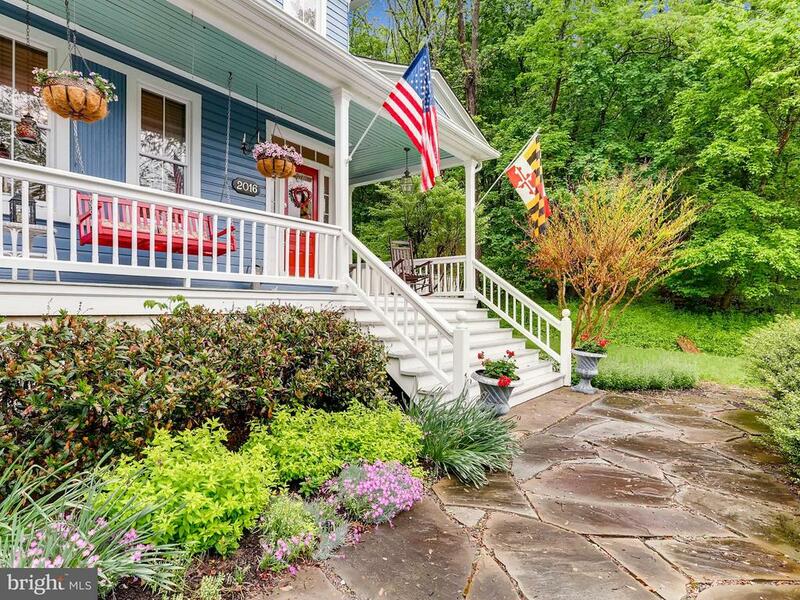 "Beautiful Craftsman style home in the heart of Monkton, MD! Hereford School zone. Semi- Custom Home without the custom price, and custom experience! Over 3,000 sq with plenty of modern amenities including a gourmet chef's kitchen with top of the line appliances, tray ceilings, gorgeous hardwoods and more! Convenient to I-83. Home to be built...pictures are samples." "Such a cute Spring time house! This charming Victorian has been updated through out. ****Wide steps welcome you up to the front porch with a swing bench. ***Hardwood floors and a stairway with woodwork greet you. The Keener kitchen features granite counters and island, stainless appliances, cabinets with ample storage systems and a walk in pantry.. there are decorative shelf inserts and a large side window***The large dining room has many windows, a period chandelier and a large china closet. *** The expansive family room has a beamed ceiling with skylights, a Butler stone fireplace with a high efficiency wood burning stove insert, french doors to the stone patio. ***The first floor renovated full bath is conveniently located near rear patio door for pool access. ***Upstairs are 3 large bedrooms all with ample closet hanging space and shelves,views from all the windows, a full bath with shower tub combo and new vanity. *** The third level is quite large and fun with two sides, one for a hang out area and the other side with huge walk in closet . ***The nearly 1.5 acres is fully fenced. The inground gunnite pool is perfect for dipping. The bluestone patio, and the wood deck above are great for entertaining, or enjoying the abundant surrounding nature. In addition, the retaining wall has vegetable garden beds. *** The custom built double sided shed has everything for a work shop or lots of storage. ****This is truly a one of a kind magical property, and has easy access to I83 and Hunt Valley." "Gorgeous custom home in the sought after Monkton community! Hardwood floors throughout. Sunny galley-style kitchen with new stainless steel appliances, plenty of counter and cabinet space. Spacious master bedroom with a full bathroom and private deck. Freshly painted bedrooms. Expansive great-room with wood burning stove and attached deck; perfect for entertaining. Large two zone fenced yard backing to trees. Whole-home standby generator so you'll never be without power! Water system completely updated along with brand new large washer/dryer and super energy efficient hybrid hot water heater. 2.5 car garage is spacious and perfect for a workshop. Welcome Home!" "Enjoy clean country living in this renovated farmhouse originally built in 1932, Lovingly renovated for today's living. Enjoy a thoughtfully designed kitchen with island seating, stainless steel appliances and loads of natural light! The family room off the kitchen is a perfect spot to gather friends and family for a cozy fire, read a book, watch TV or just hang out together. The main floor also features a den which was used as a bedroom by the previous owners. A full bath is available on the main level. Charming farmhouse details are found throughout the main level but it has been updated with a large laundry area and spacious full bath. Need a little more space? The attic could be finished off to use as you need...playroom, home office or storage. Buy now and enjoy the great outdoors...from the fully fenced front yard to open spaces, wooded area to the raised garden beds...if you love being outdoors this is the house for you! 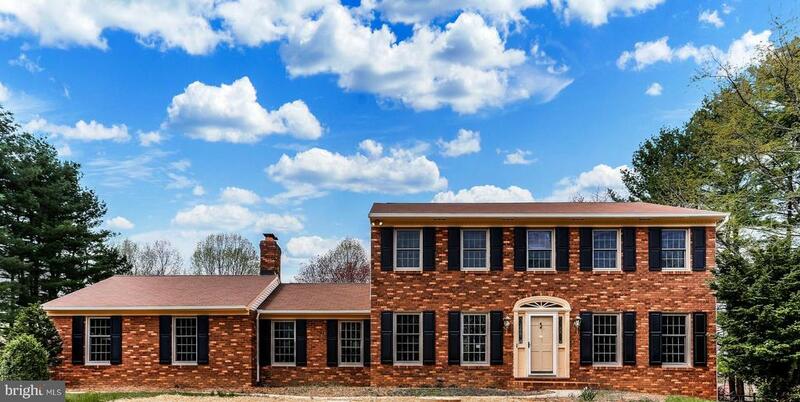 All this just minutes to I-83, Blue Ribbon HZ Schools, NCR Trail, Gunpowder and more! Don't let this one get away!" 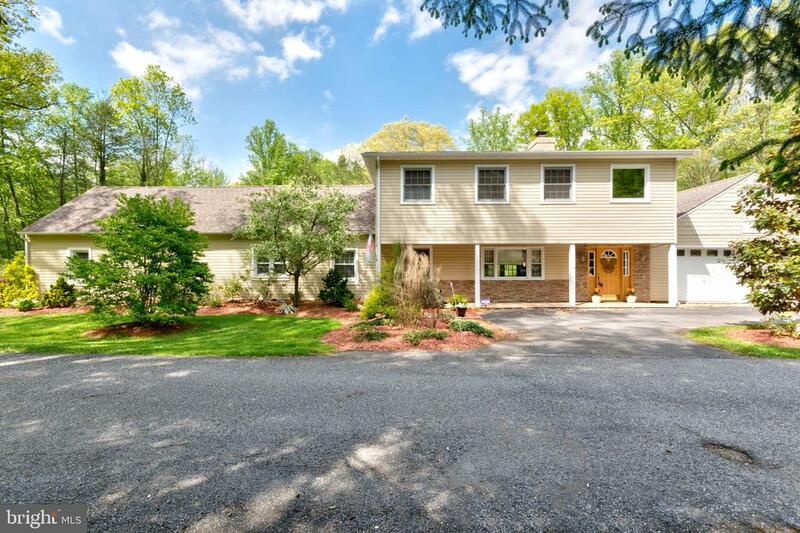 "Fully rejuvenated bank owned home on 2.28 acres in Monkton. On cul de sac court. Three sides brick. Fresh paint throughout, new carpet, new roof, new well and septic, new stainless steel appliances. Open floor plan with first level hardwood floors. Granite counters in kitchen. Gorgeous sunroom overlooks spacious, level backyard. Finished lower level with half bath, wet bar and outside entrance. Side entry two car garage with ample driveway parking. No HOA fees. CONTACT ALTERNATE AGENT." 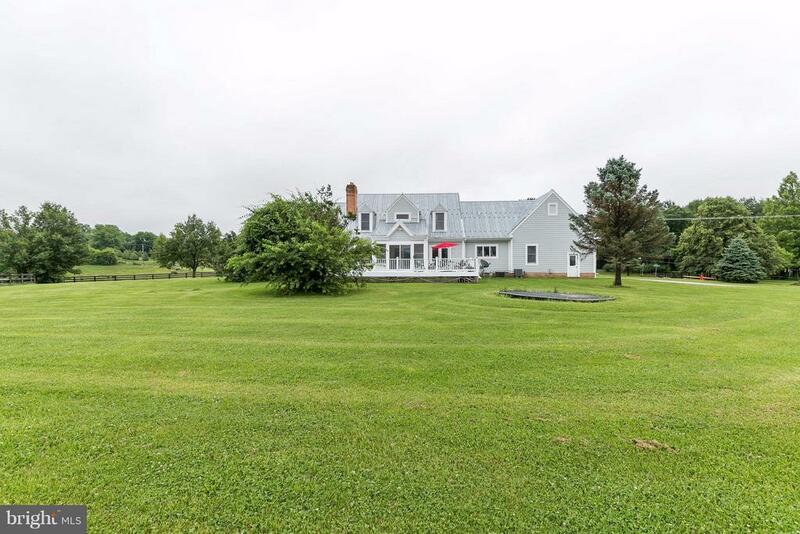 "My Lady's Manor - charming 3 bedroom farmhouse with barn, detached garage and huge yard. Recent renovations including new baths on both levels. Inviting front porch with porch swing leads to large family room with gleaming pine floors and woodburnfing fireplace with brick surround. Country kitchen with exposed brick and pantry leads to breakfast area with french doors to rear deck overlooking large, level yard. Large master bedroom with pine hardwood and plenty of sunlight. 2nd bedroom with pine floors and closet. Large 2nd floor laundry. Walkup attic with additional space to expand. Large barn (24'x36') with electric and water offers opportunity for horses although JMAR stables is directly across the street providing optimal boarding and lessons. Large level rear yard for entertaining and play. Detached garage and shed with bluestone patio frame the side yard. All this in the Hereford Zone."